WELCOME to our UK Home. 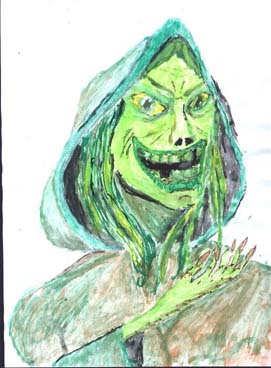 Jenny Greenteeth, Chief Ectoplasmic Officer of Greenteeth Multi Media welcomes you to the UK home page of her rapidly expanding multi media empire. Sometime in the spring every year somebody will ask me did the pre - Christian pagan societies really sacrifice their King and eat his flesh. I'm a pagan only because nothing else makes any sense, I have never taken part in any rituals or felt the need for any religious observance. So perhaps I am well placed to explain the symbolism behind these seemingly cruel and brutal rituals tat survive to the present day. A squidoo lens currently in development that expores the history and meaning of myths and tries to find an answer to the question why these ancient stories still resonate so powerfully in the human psyche. Bog ButterArchaeologists claims to have discovered ancient food still preserved in an edible state after 1000 years in a peat bog may be misplaced. Boggart Blog's Ian Thorpe and Fatsally believe their Dear Old Mum might have has something to do with it.